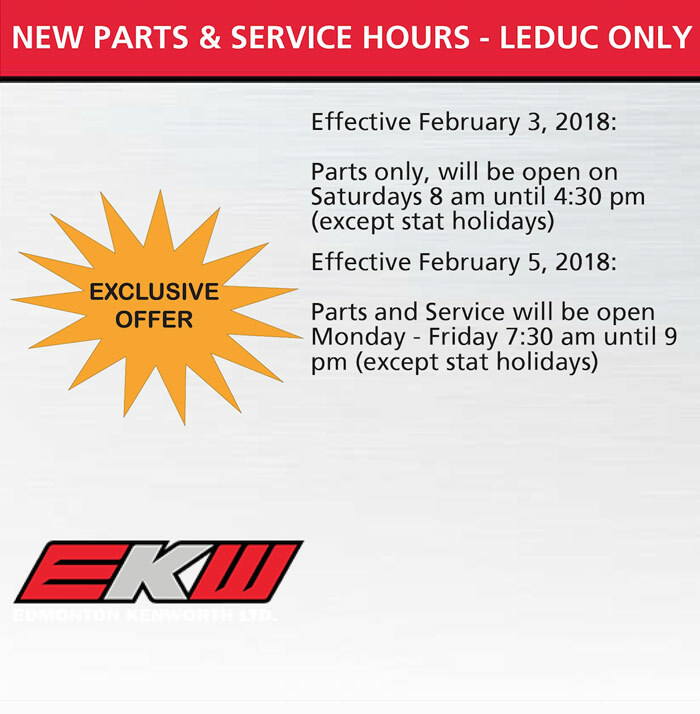 See our current Service Specials Below! Does your truck need Service? 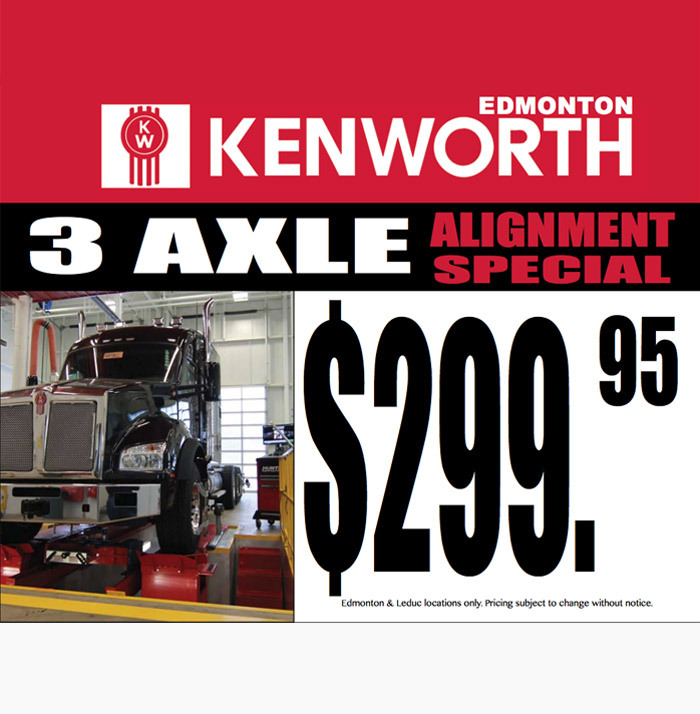 Stop by one of Edmonton Kenworth’s service departments located in our Leduc, West Edmonton, East Edmonton, Lloydminster and Fort McMurray dealerships. Our service technicians are factory trained and have a wide range of skills that allows us to diagnose and repair virtually anything on any truck. 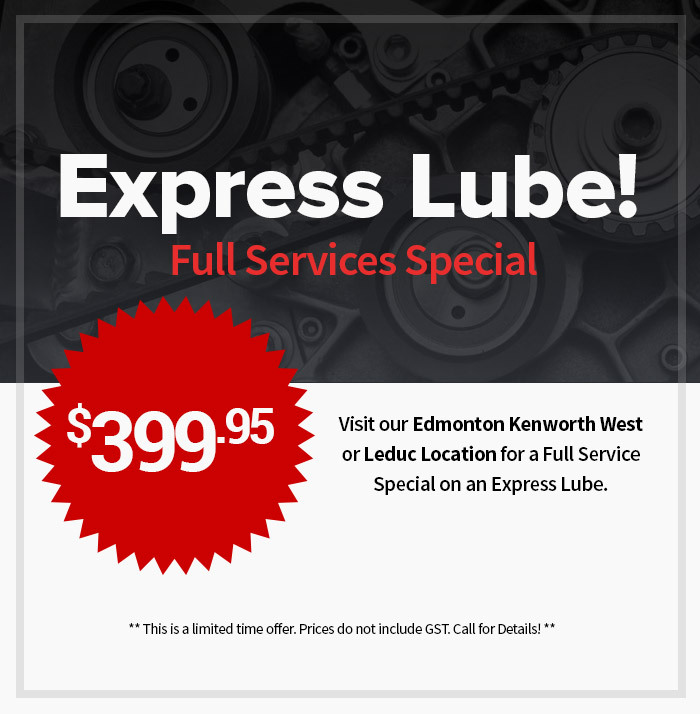 Be sure to check back regularly to view our Service Specials! *What is your nearest location? *Are you a PacLease customer? Note: You will be responded to within 24 hours.